I spent the first half of 2008 helping a network of reproductive health leaders across several developing countries find ways to collaborate more effectively with each other. 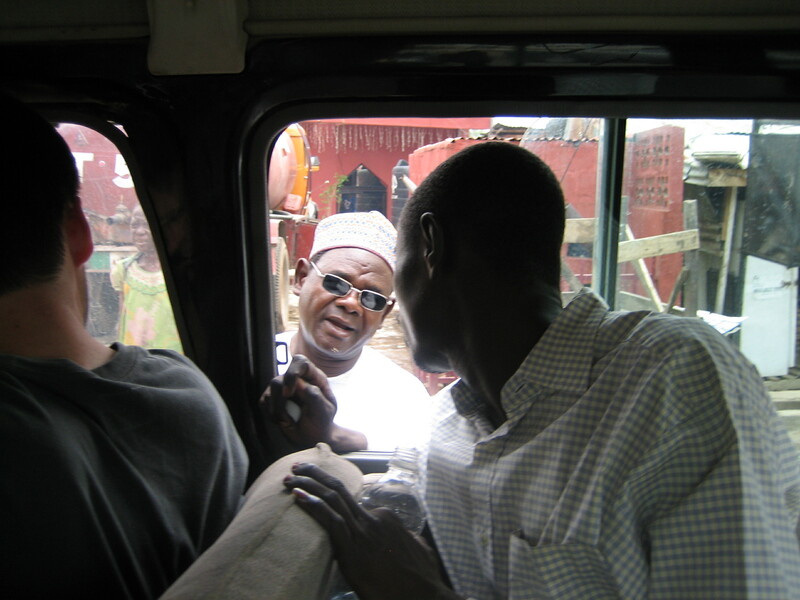 As part of this work, I spent a week working with leaders in Kano, Nigeria. When I first arrived there, I asked my host to show me where the local bank was so that I could exchange some currency. He explained that people in Kano don’t go to banks. Thieves knew to hang out there, and even if you managed to avoid getting robbed, you couldn’t trust the banks to give you real currency. Instead, he introduced me to a guy in a red truck parked outside of a Chinese restaurant, and he negotiated an exchange. When I asked him how he knew where to go and whom to trust, he explained that it was largely word of mouth — family, friends of friends, etc. But he also made it clear that word of mouth wasn’t consistently trustworthy either, and that you had to remain constantly vigilant. Constant vigilance meant constant stress, which is what I felt throughout my trip knowing that I couldn’t trust the institutions that I generally depended on here in the U.S. However, relationships still mattered. Knowing and trusting a few core locals enabled me to acclimate quickly and even learn to thrive. Trust is an essential part of effective collaboration. Without it, most groups fall apart. However, we are often naive in how we design for trust. Consider decision-making. One of the easiest ways to gauge how much a group trusts each other is to look at its governance structure. In high-trust groups, people assume that everyone will do what it takes to make the best decisions. Sometimes, this means reaching out to others for discussion and pushback. Other times, it means being proactive about making decisions, understanding that it’s impossible to know everything in advance and that mistakes will happen. These groups often get away with minimal, mostly informal governance structures. In low-trust groups, people fear that they won’t be properly represented and that others won’t make good decisions on their own, so they insist on being part of every decision. Decision-making is often time-consuming and ineffective as a result. These groups often try to compensate by adding more rigid, formal governance structures. High-trust groups are about forgiveness. Low-trust groups are about permission. Even though rigid, overly formal structures are often a symptom of low-trust groups, we often try to compensate for this by creating additional — you guessed it — rigid, overly formal structures. The problem isn’t that new structures can’t help. It’s that the structures we choose don’t necessarily increase trust and may even serve to impede it. For example, many international aid organizations require some sort of government involvement in order to ensure that money goes to the right places and is used in the right ways. Their assumption is that government is the most trustworthy way for this to happen. As I saw firsthand in Nigeria, this assumption is sometimes wrong, and the work suffers as a result. There are two ways to navigate around this. The first is to remember that there are other ways to invest in trust beyond building new structures — specifically, investing in relationships. The second is to think more intentionally and creatively about the structures you build. In 2012, I co-led a multistakeholder process called the Delta Dialogues focused on California water issues. California has been embroiled in a complex and expensive debate over water policy for several years. Rather than propose an alternative policy process, we chose to augment the existing processes by focusing on trust-building between key players. Whenever someone joined the Dialogues, we asked them to share their favorite place in the Delta. Rather than seek a “neutral” location for our meetings, we rotated locations among the participants, so that everyone could see and experience each other’s workplace. We assigned each participant a buddy, and we asked that they talk to each other before and after each meeting. Participants would say the field trips in general were the most valuable part of the Dialogues. All of the participants had lived or done work on the Delta. But even those who had spent their whole lives living in the Delta had seen only parts of the massive estuary. To get a guided tour from another participant and see a piece of the Delta through that person’s eyes proved to be invaluable. Outside the meetings and field trips, the Dialogues were deepening and taking root in ways that the facilitators couldn’t see. The participants found they liked each other. And they began to talk and meet outside the Dialogues. Most structures — from governance to physical structures — are designed with low-trust in mind. Consider the humble traffic light. The fundamental assumption underlying its design is that we cannot trust people to negotiate intersections with each other in a safe, efficient manner. But what if we could? What might intersections look like then? Traffic engineer Hans Monderman’s answer to this question was a traffic circle. As it turns out, traffic circles are safer and more efficient than traffic lights. Giving control back to the drivers forces them to be more present and more diligent, which results in better outcomes. Similarly, most websites have login credentials and access permissions. They assume that without gatekeepers, people will just go around breaking things. While these websites are decent at keeping bad guys out, they are also surprisingly bad at allowing good guys to get in. Most of us believe that this is an unfortunate, but necessary tradeoff. Wikis flip this assumption around. They assume that most people are intelligent and want to do good, that if you trust people by default, good things will happen. Wikis not only allow anyone to edit them, they do not impose any kind of editorial workflow. They assume that good, smart people will figure out for themselves how to create the highest quality content. Wikipedia — the most prominent of all wikis — is a devastating example of this principle operating at massive scale. Wikis still have structure, only their structures are designed to reinforce, rather than replace, trustworthy behaviors. For example, wikis maintain a copy of all prior revisions. This encourages people to try things, knowing that their mistakes can be easily reverted. People’s contribution histories also serve as a kind of currency that helps reinforce their trustworthiness. When you design for trust, the results are often simpler and more elegant (and sometimes counter-intuitive). These designs give up control rather than assert it, resulting in greater agility and higher quality. However, designing for trust doesn’t work so well if you don’t have trust in the first place. Organizational forms without explicit hierarchy have existed for decades, but recent instantiations like Holocracy have recently become popular, especially in the technology sector. What people are starting to realize is that trust is a critical ingredient to make this work, lack of trust is often a cultural problem, and eliminating structure does not solve anything if your problem is with culture. Structure and trust have a tumultuous relationship, but if we start with some basic principles, we can harness both to create higher-quality collaboration. Invest in relationships, then design structures that reinforce, rather than replace, trust. Special thanks goes to Jerry Michalski, who — when we first met 12 years ago — first provoked me with the question, “What if we trusted people?” I’ve been pondering that question ever since.